There are only a few 'Indian sweets' which I like and this is one of them. It's called Magaj in Gujarat and is known as Besan Ladoo in Maharashtra. 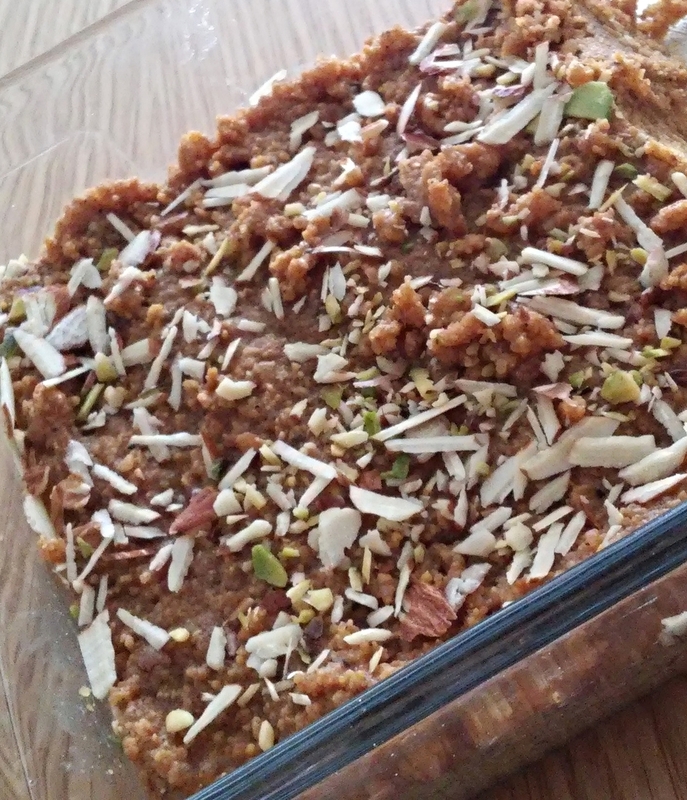 The only difference between the two is that Magaj is usually cut into squares and Besan Ladoo is moulded in a sphere.